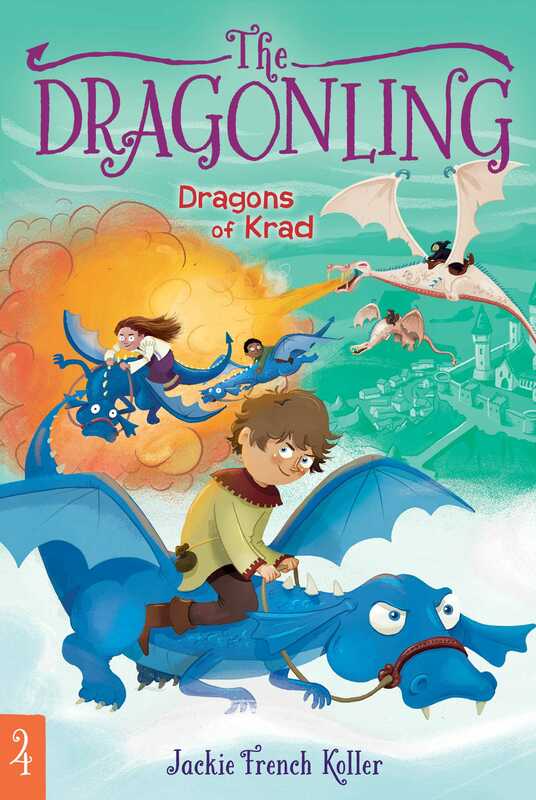 Darek searches deep into Krad to find Zantor and Pola in this fourth book in the fantastical Dragonling chapter book series! When Darek’s beloved dragonling, Zantor, and Darek’s best friend, Pola, disappear into the mists of Krad, they are assumed dead. But Darek knows Zantor and Pola are alive. He can hear the dragonling’s cries for help, deep inside his own head. And much to his surprise, Rowena—the cause of all the trouble—hears them, too.